Shop Nice! 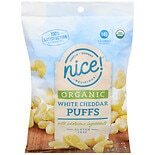 Organics Puffs White Cheddar (4 oz. )4 oz. 2 for 5 dollars and 00 cents or 1 for 2 dollars and 99 cents $2.99 $0.75 / oz. 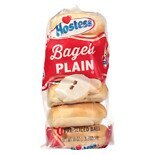 Shop Hostess Bagels Plain (18 oz. )18 oz. Cornmeal is a versatile kitchen staple, perfect for both beginner and veteran cooks. 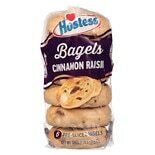 Whether used to bake a tray of muffins or a loaf of cornbread, this essential ingredient offers a blend of nutrition and flavor. Selecting the ideal cornmeal product depends on your tastes and baking needs. Find cornmeal from Bob's Red Mill at Walgreens.com. Coarse grind cornmeal provides a satisfying texture and a rich flavor, ideal for most bread and porridge recipes. For cooks who prefer fewer crumbs, medium grind cornmeal has a finer texture without sacrificing the distinctive and tasty corn flavor. In addition to texture, cornmeal is available in a diverse and versatile range of colors. Yellow cornmeal provides the traditional, lightly sweet taste that most people associate with cornbread. Blue cornmeal offers a sweeter and nuttier flavor and is ideal for southwestern meals. White cornmeal is more savory and has a more delicate flavor. Cornmeal tastes so delicious, you may be surprised to know how healthy it is. Bob's Red Mill ground cornmeal contains corn germ and bran, meaning that it offers extra nutrition compared to other cornmeal products. The all-natural cornmeal is a great way to add some healthy grain products to your breakfast, lunch or dinner. Not just any cornmeal will suffice when it comes to nutrition, since some brands remove the important corn germ. Using Bob's Red Mill stone ground cornmeal lets you take advantage of the many vitamins and minerals contained in this tasty cooking staple.